Cards by Rita: Happy Birthday to Me! from the bottom of my heart I wish you all the best for your birthday. I really enjoy reading your blog. Your little angel is just so cute and I really like your creations. Don't let yourself be troubled by any psychic around there, we need all our strenght and love to assure that nobody in our surrounding ever feels like doing such horrifying things. "Happy Birthday to you..."!! I know, it's been a difficult week, but every birthday is worth celebrating! What a GOR-JUS card . . . thanks for sharing! I love that new honeycomb embossing folder too! Happy birthday to you, my friend! I love how you re-arranged the sketch and made this birthday card in such bright and bold colors. I hope everyone is on the mend and that you can enjoy your mom's visit! Happy, happy birthday! I think this sunny card is perfect and I love your take on the sketch. Hugs to you! I know what you mean about not being able to craft after Friday. I too had to take a bit of a break. It was just overwhelming. Happy B-day! And I hope everyone in your home gets healthier and/or remains healthy. Happy Birthday Rita! Enjoy your Christmas with your family! Love love love these colors together! Beautiful card! Hope Jason feels better soon - and enjoy having Mom around! Happy Birthday!! I love the bright and cheerful card that you made. I always forget to use black and yellow, but every time I see a card made with those colors, I fall in love all over again. Happy Birthday!! I love this card! Thank you for sharing!! Happy,Happy, Happy Birthday to you!!! Belated wishes to your DH...and I think most of us have had the very same issues with what has recently happened...so don't apologize for it. Your card is beautiful - I am loving the new embossing folder...and your colors are soooo pretty! Hope you, your hubby and your mom can survive the Holidays without any more illness and that your DH recovers soon!!! 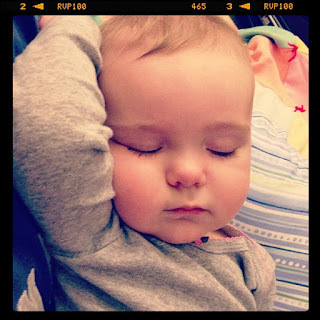 Hugs to you...and thank you for sharing your sleeping princess picture! HAPPY BIRTHDAY TO YOU!!!! I hope you had a wonderful day and everyone is starting to feel better! Laila is so sweet....I love that picture! Your card is beautiful as well! 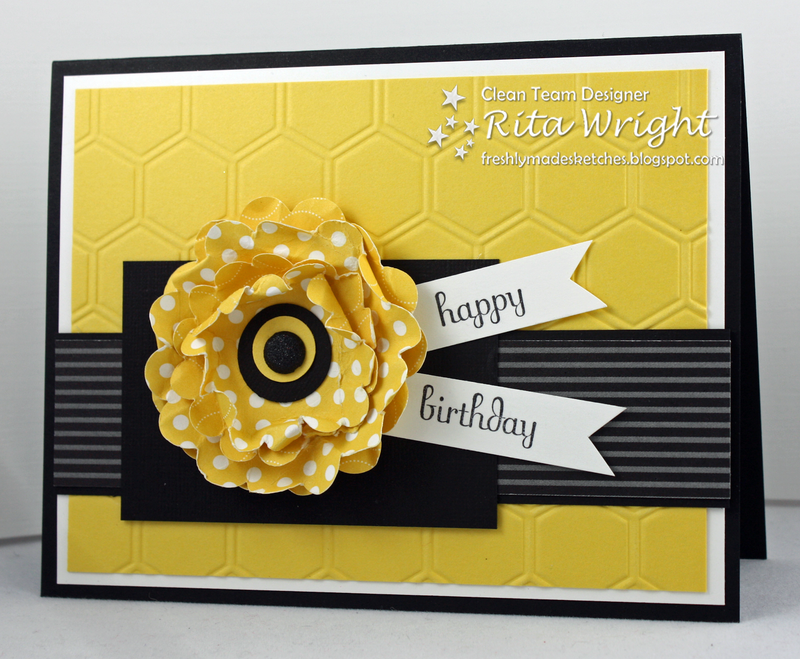 Love that black and yellow - perfect for the honeycomb background!!! Have a great time with your mom! Merry Christmas! What a beautiful brithday card ... it says everything that birthdays are - fun, colourful and oh so happy! All the best to you and your family for a happy, healthy festive season! This is the most fabulous card, Rita. I absolutely LOVE that flower and how you used the sketch. I'm pretty picky about what makes it into my CASE files, but this one gets top priority! Wishing you peace and happiness for the holidays. Even though you didn't use the big honkin' bling...I think it is GORGEOUS!!! Fab color combo and the dimension from the flower is fantastic! Such a gorgeous card, Rita! The color combination is dynamite. Hope you have a wonderful 2013!